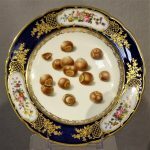 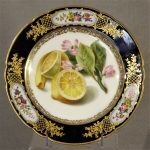 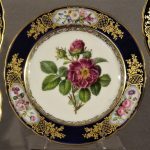 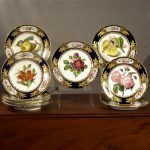 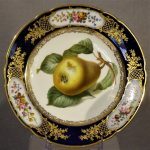 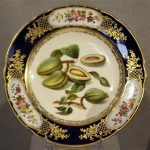 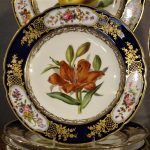 9 lovely French porcelain plates painted with fruit, flowers, and nuts decorated in Paris by the firm Boyer and Feuillet. 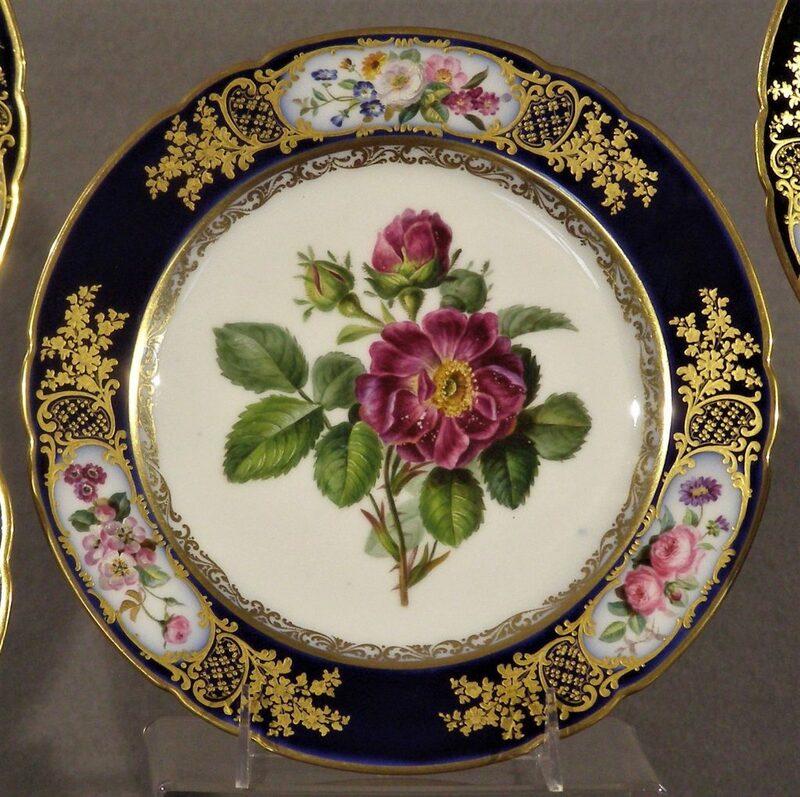 The dark cobalt blue rims have three reserves with floral sprays surrounded by raised gold. 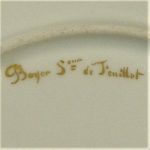 The plates are variously marked on the back in gold “Boyer Sr de Feuillet”, “Adele Boyer” and “DT”. 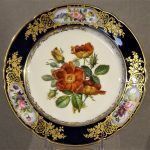 Feuillet was a French painter on porcelain who worked at Rue de la Paix in Paris. 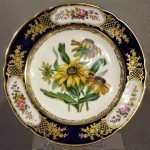 By the 1820’s he had a studio at this address that specialized in painting on porcelain. 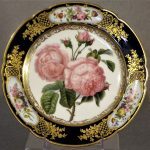 He was succeeded by Boyer around 1845. 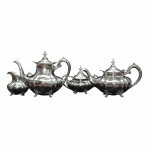 Very good ++ antique condition.There is very little rubbing of the gold which is crisp and bright. 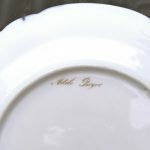 One plate has some stacking wear and another has slight scratches and the gold on the inner rim about 30% rubbed. 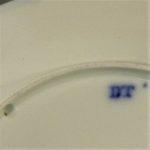 One foot rim chip.